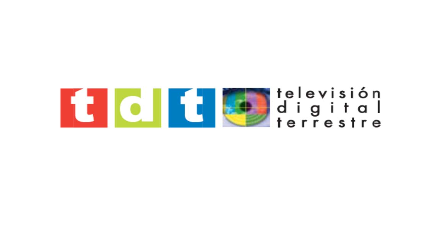 A national campaign gets underway this week in Spain, ahead of major changes to their digital terrestrial television service TDT. The campaign, which starts on the 15th October will inform viewers of an imminent change to frequencies requiring a retune during November and December. On October 26th, affected services are to commence broadcasting on new frequencies as part of the release of the 800 MHz frequency band for 4G/LTE mobile broadband. This 'digital dividend' was completed in the UK in 2013. Digital multiplexes will be available on both the old and new frequencies until the old frequencies are switched off by the end of the year. There has been criticism from broadcasters that the transitional period is not long enough, and commercial broadcasters fear a loss in revenue if the transition and retunes can't be done within the set timeframe. As the 800 MHz frequency band is used more extensively in Spain for terrestrial television (there are three commercial multiplexes that use this band for their single frequency networks), numerous aerial installations, especially communal aerials will need to be checked and in many cases distribution systems reconfigured to the new frequencies. According to reports from Spain, users in affected buildings must pay upfront for the changes, with the option to recover costs from the Government next year. Viewers who have opted for the TDTSAT service, targeted to viewers with poor terrestrial reception, are unaffected. The changes are outlined in this Spanish language document.